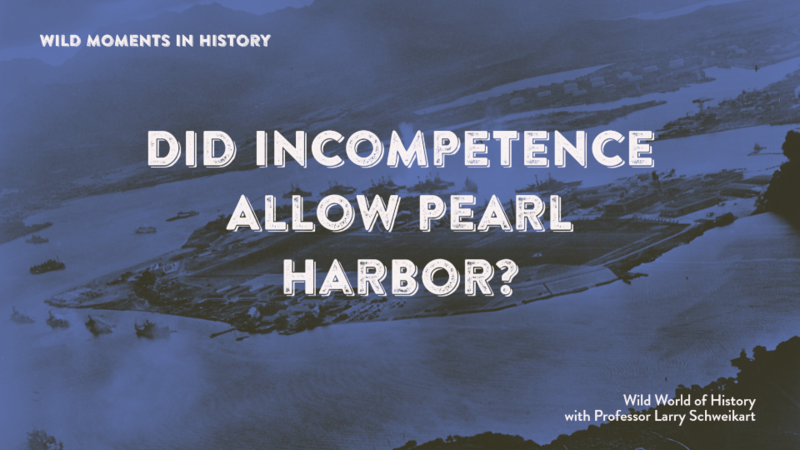 Did Incompetence Allow Pearl Harbor? Did you know that in 1941 the commander at Pearl Harbor reversed the alert codes, but didn’t tell Washington? The controversy about “did Roosevelt know” about Pearl Harbor took it on the chin a few years ago in a book by a major who, in World War II, was instructed to get to the bottom of what happened in the surprise attack. Henry Clausen was given a special assignment in 1945 by Chief of Staff George Marshall: re-interview all those who gave testimony to the five Congressional committees, except this time, tell them you are aware of the MAGIC code breaking operation and are “read into” the program. Clausen responded that they wouldn’t believe him. Marshall said they would because he was going to supply Clausen with several actual MAGIC documents—as secret as the atomic bomb itself—that he was to carry in a pouch on his person at all times. Since the war was still going on, if Clausen was shot down anywhere over enemy held territory, rather than allow the documents to fall into enemy hands, he was to ignite the package on his chest with a trigger, thus committing suicide. Clausen must have gulped at that one, but he carried out his assignment. Suddenly, those who had told one story to several congressional committees—absolving Admiral Husband Kimmel and General Walter Short—could now reference secret information they could not previously even reveal to Congress. Their new testimony told a different story of non-cooperation between the Army and the Navy who had the duty of protecting Pearl Harbor in 1941. Most of all, it told a shocking story of incompetence by General Walter Short and his staff. General short had a “Standard Operating Procedure” for such cases from July that had the alerts numbered one through three, with one the highest level of alert and three the lowest. But it was far worse, because Short had never informed the War Department of the change, when he was asked if he was on “Alert 1" Short replied he was—only by that time “Alert 1" was the lowest level of alert, not highest. The new “Alert 1" was an alert “with no threat from without” (i.e., from the ocean)! Read more in Clausen's Pearl Harbor: Final Judgement.